One hundred Members of Knesset demand release of Jonathan Pollard following US spying allegations. MKs from across the political spectrum attended a special Knesset session Wednesday, in a public call for the release of Jonathan Pollard to the administration of US President Barack Obama. Jews and Arabs, left-wing and right-wing politicians, secular and religious parties alike came together in solidarity to call for Pollard's freedom. 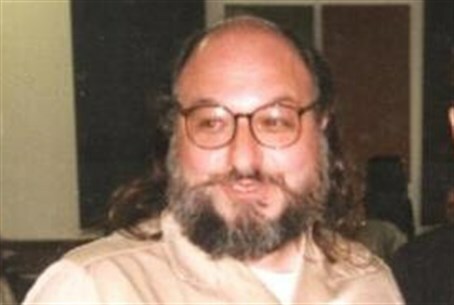 It was yet another campaign on behalf of the Israeli prisoner, who has been held in the US for over 28 years on spying allegations. Much of the criticism was directed toward US President Barack Obama. White House spokespeople declared Monday that the President has "no intention" to respond to the mounting calls for Pollard's release. MK Moti Yogev (Jewish Home) said that the failure of the Obama administration in that regard is "immoral and inhumane." MK Orit Struk (Jewish Home) added that the delay constitutes "anti-Semitism for its own sake." "They demand from us to release vile murderers," Yogev continued, relating to the upcoming release of 26 Palestinian terrorists. "This is immoral in itself." Addressing Obama specifically, he stated, "You continue to harden your heart; Jonathan is a bargaining chip for nothing." "It is your moral obligation to release Pollard - today and without preconditions," he concluded. MK Avi Wortzman (Jewish Home) stated, "This week we are going to release the terrorists because of American pressure." "I call on the US President: listen to all of the officials in the senior U.S. administration, listen to the Israeli government as your friend and ally: it's time to release Jonathan Pollard. We want to see Jonathan, our brother, at home." MK Ibrahim Tzartzur (United Arab List) also related to the terrorist releases in his own calls to Obama - albeit, a bit differently. "We, the Palestinian people, have thousands of prisoners, some of whom are jailed for thirty years like Pollard," he stated. He insisted that Arab prisoners "do not have their basic needs met" and stated that the treatment of both prisoners has been inhumane. Other MKs criticized the Israeli government's role in the prolonged imprisonment. Despite reports that Prime Minister Binyamin Netanyahu is due to demand Pollard's release from the US - possibly in the framework of negotiations - some say that Israel's involvement in the release has been unnecessarily slow. MK Moshe Feiglin (Likud) was among them. According to Feiglin, the reason that Pollard is not in Israel it is because Israel does not want it enough. He noted that despite repeated requests from Pollard, Israel has not recognized him as a prisoner - and that "there are legal implications" to the move which have prevented his release. MK Yaakov Margi (Shas) agreed. Margi claimed that the Israeli government has abandoned the Jonathan Pollard over the years. He called for the Prime Minister to appoint a special official to secure the release, who would make the release "his sole purpose" and who could "maintain friendly relations between the US and Israel." Some MKs had an even simpler message: solidarity. MK David Azoulay (Shas) asked the Jewish people to pray for Pollard's release. MK Gila Gamliel (Likud), said, "We need to cry out now: this is the hour that opportunity calls for Pollard to be released." She stressed that "all of the Jewish people" feel that they are in prison with him. Toward the session's conclusion, MK Yair Shamir (Yisrael Beytenu) read the PM's personal comments. Netanyahu thanked the MKs for the efforts, and specifically for organizing the session. He guaranteed that he is working tirelessly to free Pollard, using every resource available. He also noted that he has met with Esther Pollard multiple times to help facilitate his release. "There is no doubt that Pollard's release has been a long time coming," the Prime Minister stated. Pollard has been subject of a high-profile campaign for his release, after being held in the US for more than 28 years on spying allegations. He was arrested by FBI agents in 1985 and held since. Public calls for Pollard's release have been made time and time again over the intervening years. However, revelations earlier this week that the US has been spying on Israel - including on the Prime Minister himself - have added extra weight to calls for his release, after Israeli MKs and US politicians alike have deemed Obama's refusal "hypocritical."